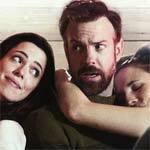 Tumbledown is one of the nice surprises of 2016 showcasing great performances from its two leads, Rebecca Hall and Jason Sudeikis, and while it’s not the most challenging films, I appreciated the understated tone as any movie dealing with death and grief can become overly dramatic. DreamWorks and Touchstone has announced the date and released artwork for the sci-fi thriller, I Am Number Four starring Timothy Olymphant, Alex Pttyfer, Teresa Palmer and Diana Agron. Click on the link below or image to the left to check out the features and artwork for both the Blu-ray and DVD.